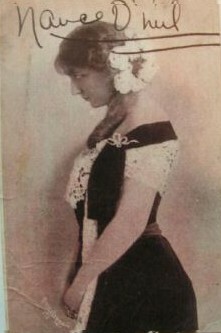 Lizzie’s reputed close relationship with actress Nance O’Neil caused nearly as much scandal and speculation as the murder trial itself. Meeting in 1904, the actress, who was always short of funds, recognized in Lizzie a wealthy patron and benefactress. The late-night cavorting at Maplecroft, alcohol and merrymaking with the theatre folks proved too much for Lizzie’s prim older sister Emma who left French Street suddenly in 1905. Nance played the Fall River Academy Theatre which is still standing today as a luxury apartment complex, and the Providence Opera House which has felt the wrath of the wrecker’s ball. By 1906 the brief and intense friendship had waned and Nance went on to a moderately successful career in Hollywood, never receiving the acclaim there she had enjoyed on the stage. She died in Engelwood , New Jersey in 1965 in a home for ageing screen divas-taking her secrets of life with Lizzie to the grave.